Real Escapes Properties is proud to offer this three-bedroom, two-bathroom upper level vacation rental residence at Harbour Oaks on St. Simons Island. The Harbour Oaks community is situated in a quiet gated area off Mallery Street. You are just a few blocks from the famous St. Simons Island Village/Pier, lighthouse, Neptune Fun Zone and may one of a kind shops and restaurants. 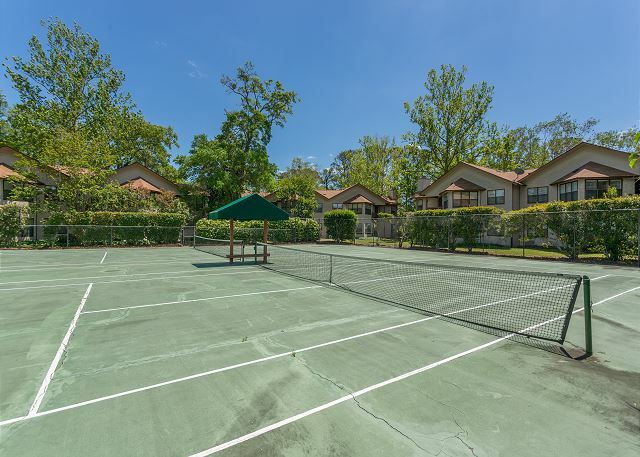 Community amenities include a swimming pool, tennis courts and fitness room. 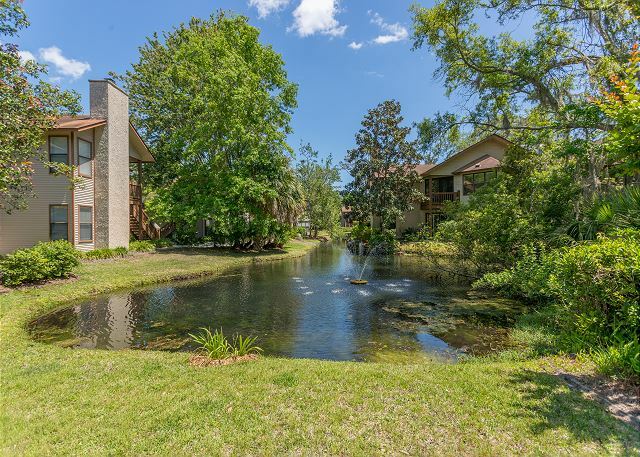 The grounds are beautifully landscaped with lagoons throughout. Harbour Oaks #606 is an upstairs level 3 bedroom, 2 bath condo with a completely renovated kitchen and master bathroom. Pac-n-play in guest room closet. Clean, updated condo. Must be new to the market, though, because it didn't seem all that "lived in" yet. Location was great, that's why we always choose Harbour Oaks. Can walk to town and complex has a great pool and tennis courts. The condo at 606 Harbor Oaks was elegant and was extremely spacious and comfortable! Everything was as advertised on the website and fully met our needs. Location was excellent as it was only a short walking distance to the Village shops and pier! In general Harbor Oaks was quiet and nestled in! A few coffee table books or reading material on SSI or other topics would have been nice! The overall experience was great. I stayed at 606 Harbour Oaks and the apartment as well as the location were an A+. The apartment was clean, well maintained, and stocked with everything you would need to include kitchen items like duches, silverware,!cups, even a Keurig coffee machine. The bedrooms and the restrooms were clean and big. I would definitely stay there again. My family and I enjoyed our stay there tremendously!! !